Sale Sale Sale Now Through 10/31! We have sew much fabric!!! We have added over 80 bolts to the sale nook and have hundreds of new bolts on the floor - batiks, florals for those collages, vibrants and much much more. 20% off all Holiday fabrics/threads/kits, etc. - Christmas, Halloween, Fall, Easter - You call it holiday and we have a discount for you! Halloween Costume/Dress gets you 10% off anything in the store....(excludes machines and furniture). A Happy Hollow Wreath Class taught by Amy Hoyt was added - 11/14. Attendees can make their choice of wreathes, green or red for Christmas or fall - we have samples in the store. Wednesday will be Halloween and we will enjoy a few refreshments that day as well! 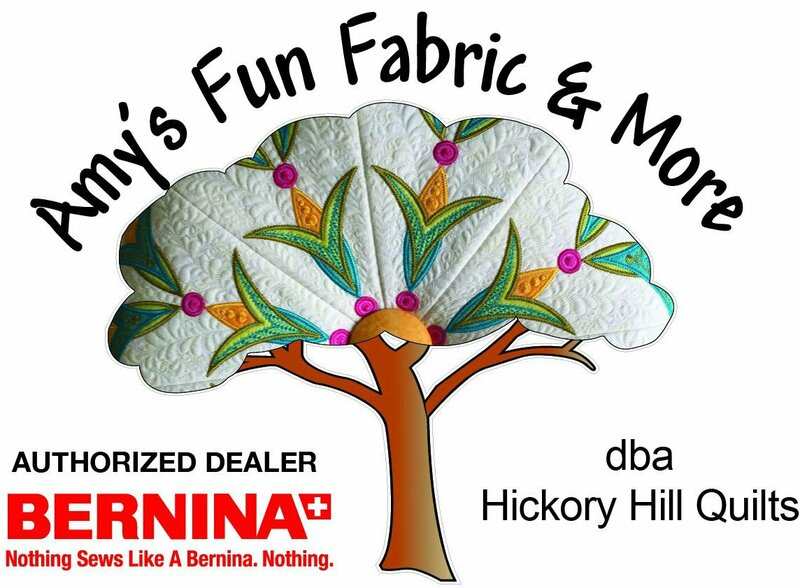 Come See Us At Hickory Hill Quilts!